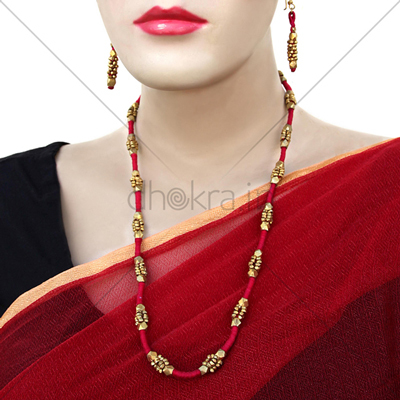 Finest craftsmanship and dedication to dhokra artwork is the base of this necklace design. 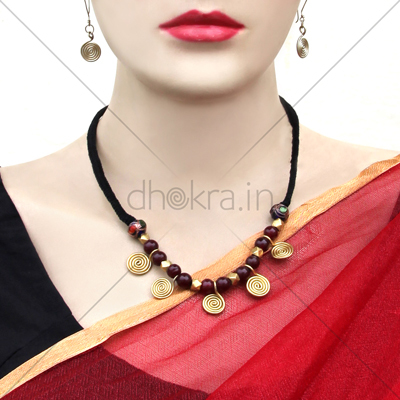 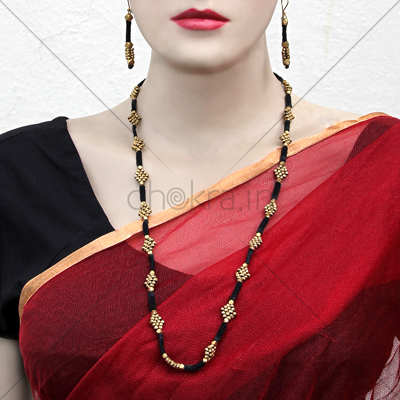 A knottily-wired round centerpiece hanging from layered array of dhokra beads. 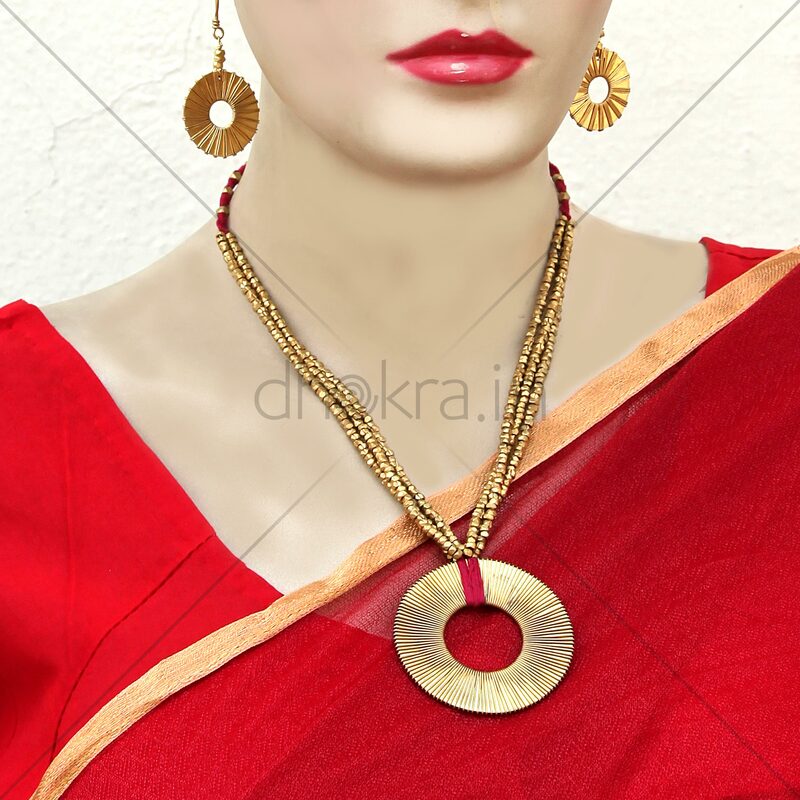 With similar pair earrings add a gorgeous glow to any ethnic outfit.